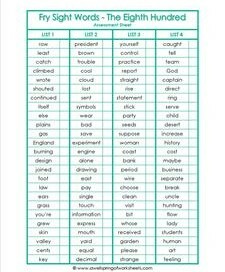 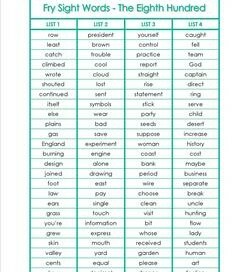 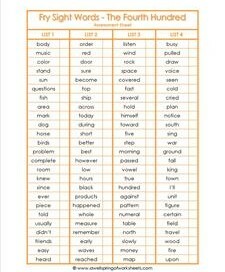 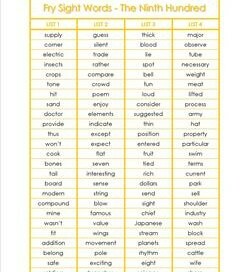 In this fourth grade Fry words section, you’ll find Fry word resources aplenty. 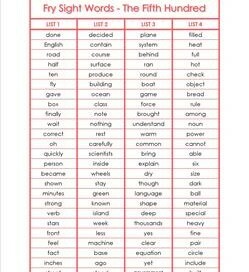 First, you’ll see the Fry lists for the fourth 100 to the tenth 100. 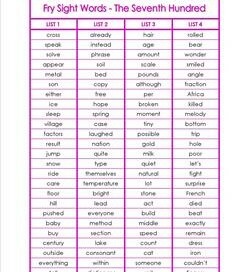 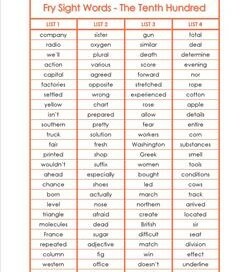 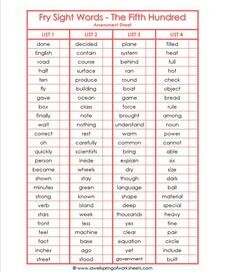 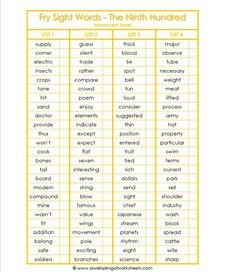 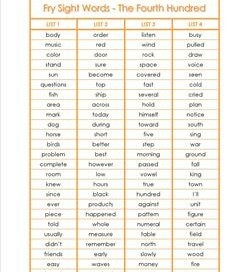 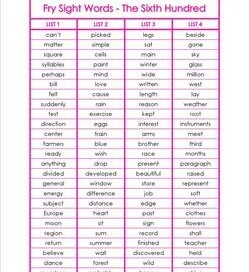 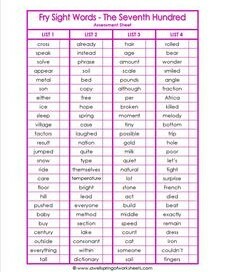 Following them are the Fry word assessment sheets for the same lists of words. 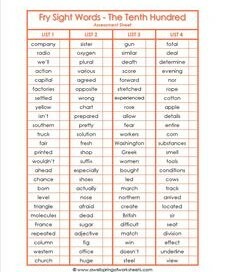 The only difference is that the assessment sheets have a check box for each word. 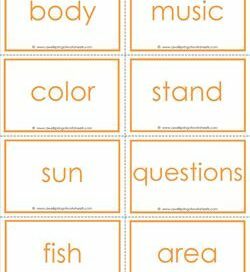 The Fry word flash cards come in black and white and color versions, and the Fry phrases – the fourth 100 through the sixth 100 – come in list format as well as flash cards. 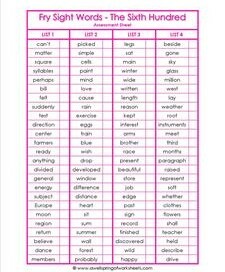 Each list of 100 is color-coordinated to differentiate them from the other lists. 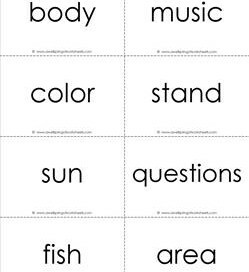 Go to this page to see more fourth grade sight words resources.